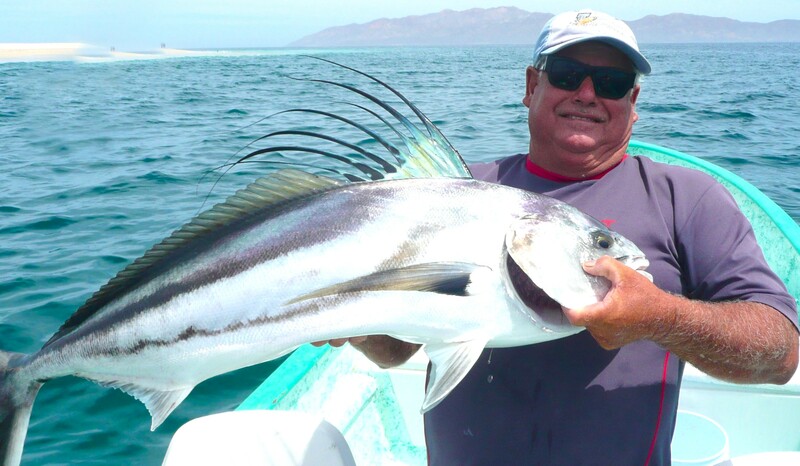 Captain Archangel shows off one of the nice roosterfish like the ones we got this week. We just didn’t have alot of photos to put in the report since everyone releases their roosterfish! (Which we encourage!) A good week for roosters a little earlier than normal for the year. CHECK OUT THESE GREAT VIDEOS FROM JORGE ROMERO OUR WHALES GUIDE WITH OUR CLIENTS! It was surely a good week to be in town. Temperatures were in the 80’s although there were some afternoon clouds that dropped some quick showers up in the mountains. Pretty pleasant overall. And not much wind which was pretty good for fishing…if we had more fishermen! But, it’s to be expected during the off-season when we’ve always got the potential for some strong northern winds that can bounce you off the water. But, for the few fishermen we had, there was some decent inshore fishing. The highlights were the pargo and rooster fish. We don’t have alot of photos this week because…well, most of the rooster fish are released (yay), but there were some nice 10-20 pound fish. Close in tight to Bahia de Los Muertos and south towards Boca de Alamo. The other fish that came up nice were the pargo. But, we don’t have alot of photos of them either this week because…well, the fish bite, but if you have ever fished for pargo, you also know how tough they can be pulling these sluggers out’ve the rocks. Probably not a tougher fish out there and this time of year is when the big redfish come up into the shallows to spawn. We “estimate” that the fish that were lost would’ve been in the 10-30 pound range. Other species included bonito, sierra and cabrilla (sea bass). Although we didn’t have alot of fishermen, we DID have some great whale watching and that’s what alot of folks come to La Paz for this time of the year. We’re having a spectacular year with an abundance of grey whales in Bahia Magdalena and daily trips headed out and lots of whales this year. Normally, they’re gone by mid-March but show no signs so far, of leaving in any hurry! It’s been a great opportunity to literally get close to the whales and touch them. How about swimming with an animal the size of a school bus? Thanks to Kody and Rick Kasper for these great photos and this week’s great video of Kody underwater. 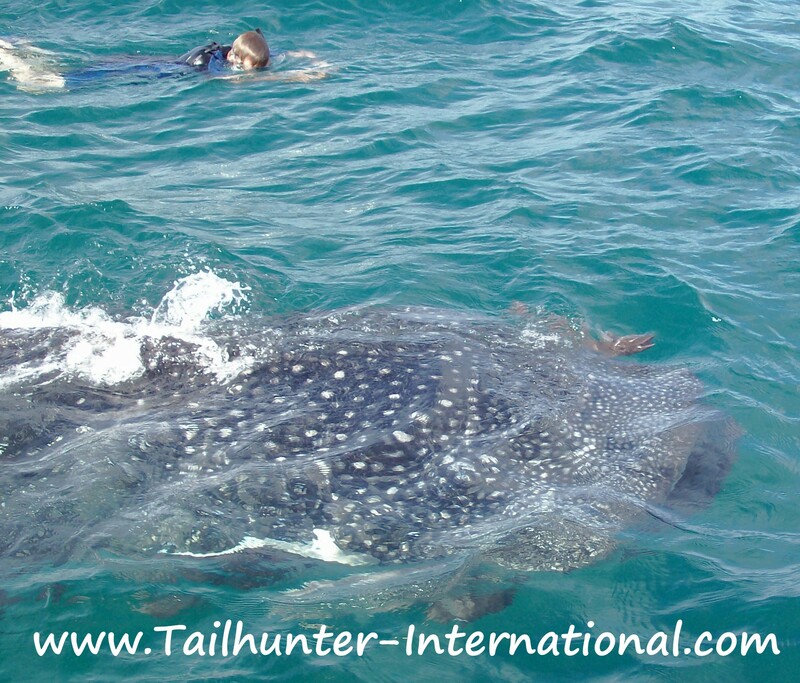 There have also been some great opportunities right in the bay to swim with the whalesharks. 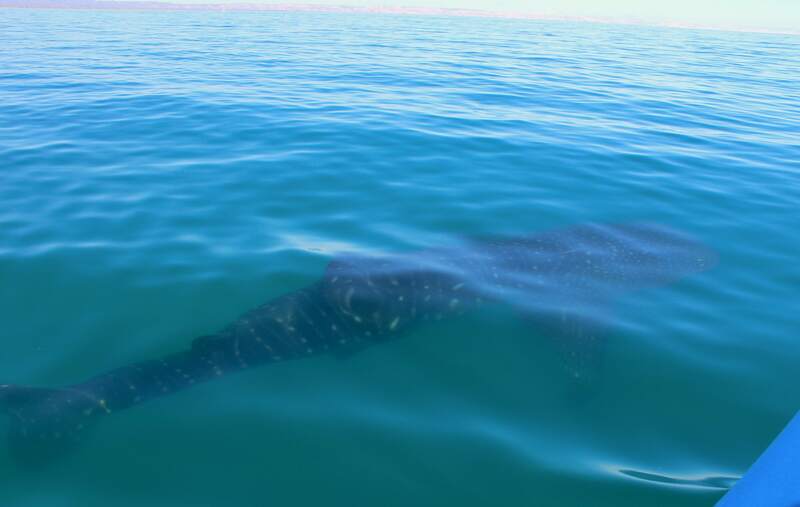 The “babies” which are about 10-15 feet long are in shallow water but an incredible experience to get in the water with anywhere from one to more than a dozen whalesharks in shallow water. There’s nothing like this show if you’re into fishing! They line up early and long to get into the show looking for deals! Only part of a skyview of the main hall and the packed aisles in the Long Beach Convention Center! This is it! This is the BIG ONE of the YEAR! We’ve been on the road now for 2 months and had some spectacular shows in Sacramento…Denver…Puyallup (Seattle)…Portland…Phoenix and Yakima. And now…we’re splitting up again! 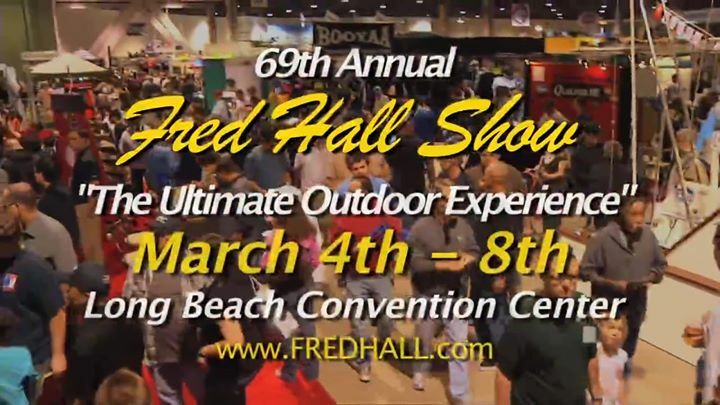 I’ll be at the Long Beach Convention Center for the Fred Hall Fishing and Outdoor Show from Wednesday to Sunday. 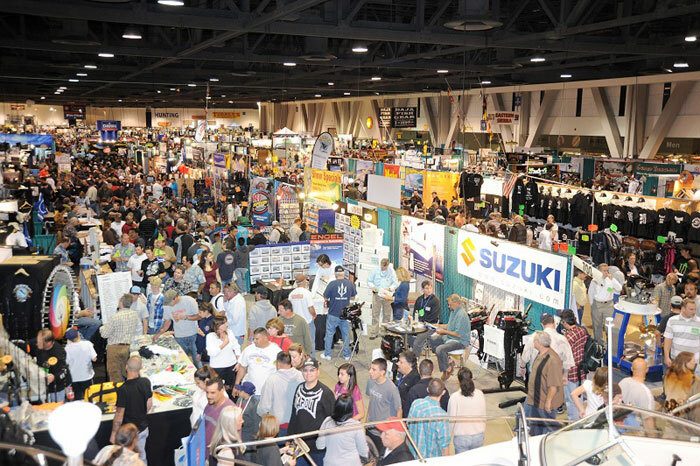 This is the 69th year for this show and it’s always packed with great gear, trips and lots of amigos! It’s the big party! 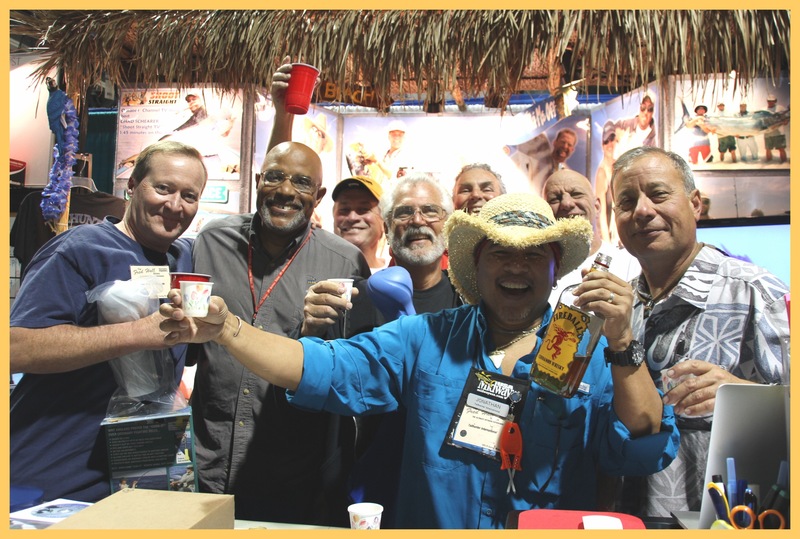 Our Tailhunter Booth…often a gathering spots for our other amigos in the fishing business. 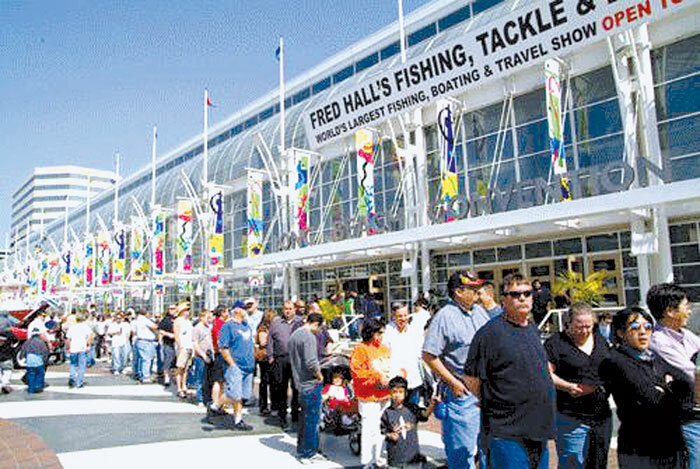 Just some of our “fishing brothers” waiting to see you this week in Long Beach! Regretfully, Jill and I have to split up this week. She’ll be at the Boise Fairgrounds from Thursday to Sunday. Another great show and we hate splitting up. Jill really wants to be with me in Long Beach and I’m sure going to miss being with her and not seeing our friends in Idaho. But, it’s a way great super show! Come see Jilly! 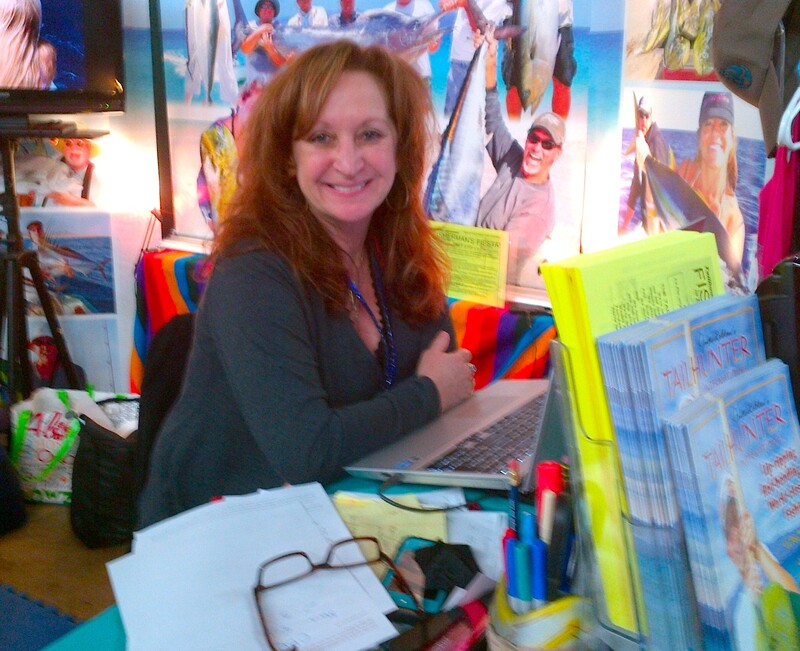 Jill will be in the booth at the Boise Fairgrounds and has all the info you need to set up your 2015 Fishing Adventure in La Paz with Tailhunter Sportfishing! 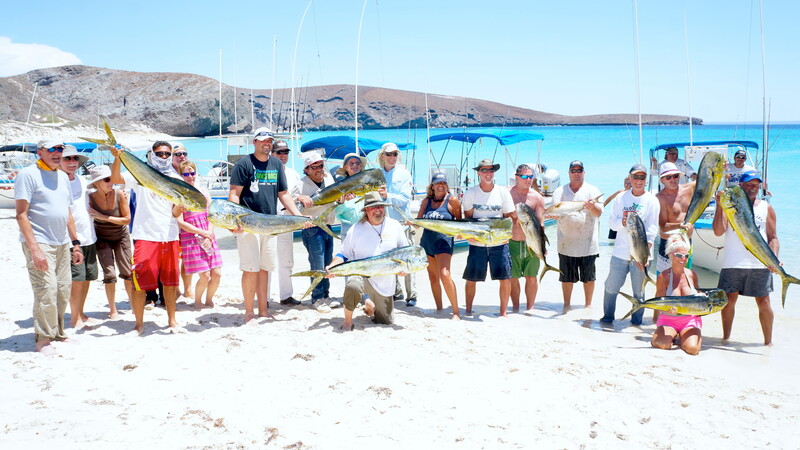 BEACH LINEUP of DORADO at last year’s Panga Slam! Still some spots available. Dates are June 16-21 and is gonna be a blast with 3 days fishing / hotel/ several great parties and dinners and a big island snorkel party as well. All this personally hosted by Jill and myself and Executive Editor Pat McDonell from Western Outdoor News. It promises to be another great time. For more information, contact us here at Tailhunter at riplipboy@tailhunter-international.com or call 626-638-3383.